Should be added to the game? 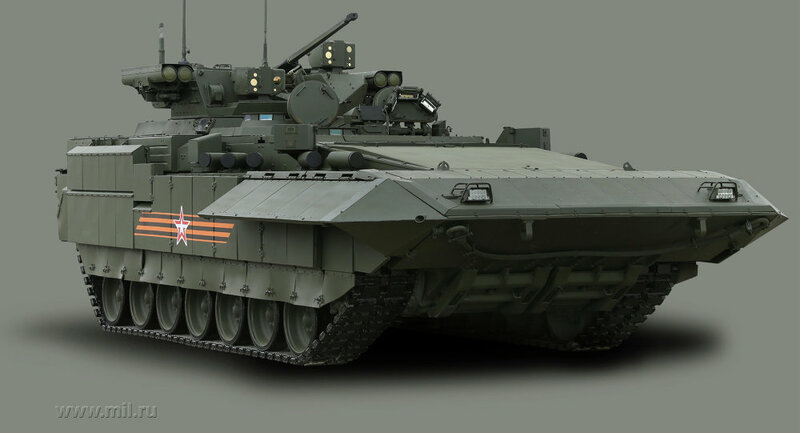 The T-15 features remote control turret with its 2A42 30mm auto cannon (AP/HE rounds) and a bank of two Kornet-EM anti-tank guided missiles on both sides. Also in development is the AU-220M Baikal remote turret that features the AK-257 57 mm semi-automatic naval gun and the 9M120 Ataka anti-tank missile. 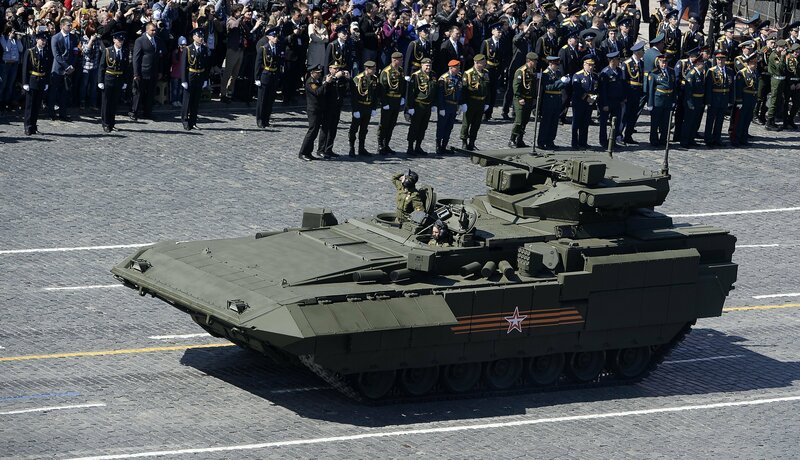 The Russian T-15 is based on the T-14 tank hull, with its engine relocated to the front to accommodate a passenger compartment in the rear, which adds the engine as a type of shield against frontal hits; passenger capacity is estimated at between seven to nine troops. At 48 tons, the vehicle is slightly heavier than the T-90 main battle tank (46 Tons). It has several features, including a built-in entrenching blade and the T-14's numerous cameras and sensors. Edited by basmal121, 30 October 2016 - 03:43 AM. Idk where but i suggested it once and they said t15 too big ._. *Pulls out PS4 controller* "Time for a test drive."